It’s true that just as Quaker meetings in the don’t normally involve symbols or set prayers, they also generally don’t feature the marking of any festivals or saints days. Today this is justified by appeals to our ‘testimony’ of simplicity; but its origins lie in the rebellious nature of the Quaker movement in the context of the religious turbulence of 17th century England. One of many ‘diy’ congregational societies formed at the time, its members sought a means of exploring their faith away from the authoritarian oversight of ministers and the trappings and layers of church traditions. In doing so, groups like the Quakers saw themselves as ‘friends of the truth’ and set about forming an understanding of Christianity drawn from what they read in scripture enlightened by their own insights. When it came to the question of festivals and Christmas, seeing no basis for the annual celebration of Jesus’ birth on a particular day in winter, they simply abandoned the idea as a religious prospect. So this sense of detachment from the significance of particular times and seasons is written into the DNA of Quaker worship and, for many Quakers over the years, interpreted strictly in their daily life as well. But it would be incorrect to characterise contemporary Quakers as puritan, and I’ve certainly never met any who are immune to the Christmas spirit, or the comings and goings of times and seasons throughout the year. Far from it: we might not decorate our Meeting Houses but you might find a ‘programmed’ Meeting for Worship here and there where the odd carol is sung, mince pies are enjoyed afterwards and yes, Christmas cards exchanged. So what is the deal with Quakers and Christmas (and Easter, and any other national holidays)? I can’t speak for every Quaker but the way I see it is this. Festivals are a way for us all to unwind, celebrate each other, pause for breath, look back on our achievements and any number of other good and socially necessary things. It just so happens that our major winter festival got wound up with the celebration of the nativity and became a time when the church focusses on Jesus’ birth; and the fact that this still permeates the secular celebration of Christmas is testament to the power of the story at its heart. I see no reason to turn away from the telling and retelling of that story at this time of year; but to be conscious of the distance between the way in which it is commonly told and the likely facts of its origins or the implications of its message. It doesn’t matter when Jesus was born. It does matter that the narratives we have in the gospels have him born into an ordinary family of no status or wealth, outsiders far from home, with the birth being announced first to shepherds – workers doing one of the least respectable jobs available at the time. It matters that the next people to notice were foreign travellers, looking for meaning in cultures beyond their own and seeking the common ground between those cultures. The inference is clear: what follows in the life of this remarkable human is a message for all people of whatever rank or background. Whether we’re interested in that message and what we make of it is up to us – and our conclusions are for life, not just for Christmas. This entry was posted in Christmas, history, quakers, reflections. Nine years ago today I nearly came a cropper in a freak accident on the road – freak mostly because of my extraordinary luck in escaping my upturned car with barely a scratch, considering the number of trees and roadsigns that might have brought the vehicle to a sudden and deadly stop instead of the relatively soft hedge that was the final resting point. I had bounced off a 4×4 that had pulled into the road too soon causing my small car to flip over against the kerb and send vehicle and driver spinning through the air in a state of shock and bewilderment. These events are traumatic but can have meaning if we want them to. For me, my immediate realisation that I needn’t replace the car, since my living situation didn’t demand one was a huge relief. Over time, however – and quite a short space of time – something much more significant dawned on me. This event could be a turning point: a chance to reappraise my life, stop taking it for granted and above all stop waiting it out with no direction, no hopes and no sense of what I wanted to achieve. It was then that I stumbled across my local Quaker Meeting. I had long since stopped attending churches through lack of interest in most of the ideas and traditions they appeared to represent (although I’ve a somewhat more rounded view now). In the silent hour’s meeting which I approached with some trepidation – not to say scepticism – I found an astonishing centredness that helped me both consider my own condition and turn outwards to the world. No longer did any particular belief system, rituals or traditions matter: only the unquestioning acceptance and openness of the circle of people in the room, whose individual ideas, longings and preferences could co-exist without hierarchy or favour. It was a revelation. But the aspect of Quaker culture that spoke to me most profoundly and still speaks to me today was the idea that we should ‘live adventurously’. That I take to mean in its most complete sense – not the self-gratifying pursuit of exploration and thrills (though there’s nothing inherently wrong in a bit of that); instead owning the sense that if life has a purpose it is to be lived: to explore, yes, and to discover, but also to answer need, become vulnerable, build without knowing whether what you build will last, plant without knowing the tree will grow, express oneself creatively without needing the approbation of others, and to experience the marvellous in the colours, sounds, touch and smells of every day. I often forget all of that. Fortunate then to live in a part of the world where I only need to step outside to be reminded of the glorious brilliance of being alive – and in the very spot that people have practised that consciousness for hundreds of years in the shape of the Quaker meeting and its predecessor dissident groups that first met here in the ‘barn in a field’ when that simple act was considered by the rest of society to be seditious and wrong. So I thank that other driver – and the hundreds of people I’ve been inspired by to live adventurously over the intervening years – for giving me an entirely fresh perspective on life and above all, countless reasons to live it to the full. This entry was posted in quakers, reflections. It’s said that the farther north you travel, the greater the quality of the light. 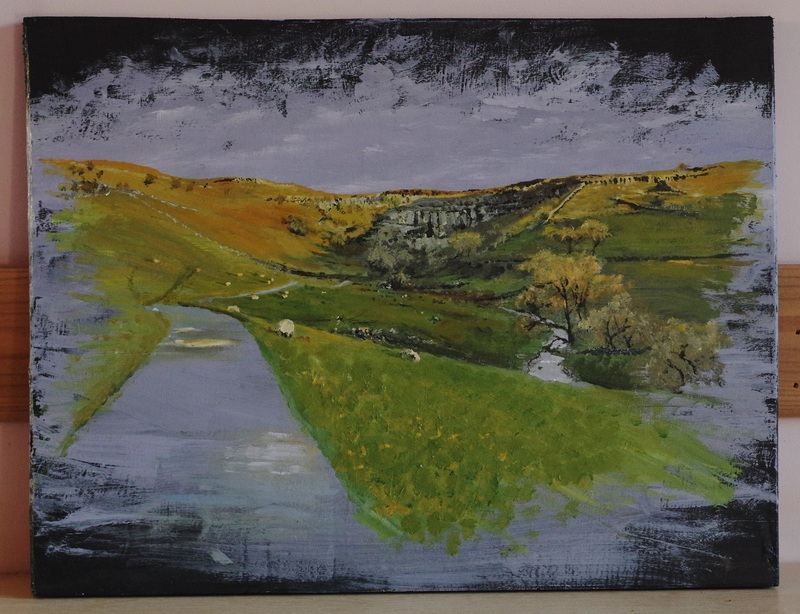 Yorkshire may not be as far north as the regions to which that might normally be thought to apply but there are days when the slopes of Malhamdale seem washed in transparency, a cool light picking out every detail of the terrain and making a personality out of every hillside. Catch a sunrise at Malham Cove and you’ll see the epitome of nature’s dance between sunlight and landscape, fire and earth. One morning, approaching the Cove just as the sun appeared I was treated to the spectacle of its great limestone face lit up like gold foil by near horizontal beams of light that also seemed to burnish the pastures on either side to a reddish yellow ochre. The transformative power of light is a cultural constant, understood by people of every age and place both as something to be mimicked whilst at the same intangible, impossible to pin down. Faced with charges of blasphemy and sedition, early Quakers modified their talk of God being present in everyone, turning instead to light as a metaphor for the good they strove to identify in each other and in anyone with whom they interacted. More recently, it may be the generality of this concept of light as opposed to the adherence to specific religious terms that makes Quaker meetings comfortable places for people of any religion and none – in its liberal European manifestation at least. But can the light concept be more than merely a cosy and convenient metaphor for good? For anyone attending a Quaker meeting for the first time (or even the hundredth!) the idea might seem a little abstract and ungrounded. Every now and then, however, I’m reminded of the power of an idea to transform the lived reality of people and the societies in which they live. A few years ago, some work by Quaker Peace and Social Witness’ (QPSW) East Africa programme brought together the life stories of individuals who after undergoing unimaginably difficult experiences in conflict zones chose reconciliation over violence and reached out to their erstwhile enemies. Publishing the stories in exhibition and book form, QPSW titled the project after a description by one of the participants of what motivated her. ‘This light that pushes me’ is more than moving – reading the words of real people who have engaged in peace building under the most extreme of circumstances is itself transformative. The contributors’ portraits look straight out at the reader, ordinary people every one of them, willing us to identify the same capacity for courage and hope in ourselves as they were led to find in themselves. In my own travels I’ve come across similar extremes of human reactions to conflict – most clearly for me in the West Bank, where from amongst people being systematically disempowered and dispossessed of their land I’ve met individuals who out of faith in the humanity they share with their enemies continually reach out across the gulf of competing interests and misunderstandings, making friendships and challenging the order imposed by the occupying authorities. We don’t hear these stories in the media, because by and large the media isn’t interested in light; but it’s not only in the factual sense that lack of positive narrative keeps us in the dark – it also tends to underscore natural pessimistic tendencies and lead us into a sense of hopelessness. This is where I believe Quaker worship can help. I was reminded of this recently on a visit to the Woodbrooke Study Centre in Birmingham. 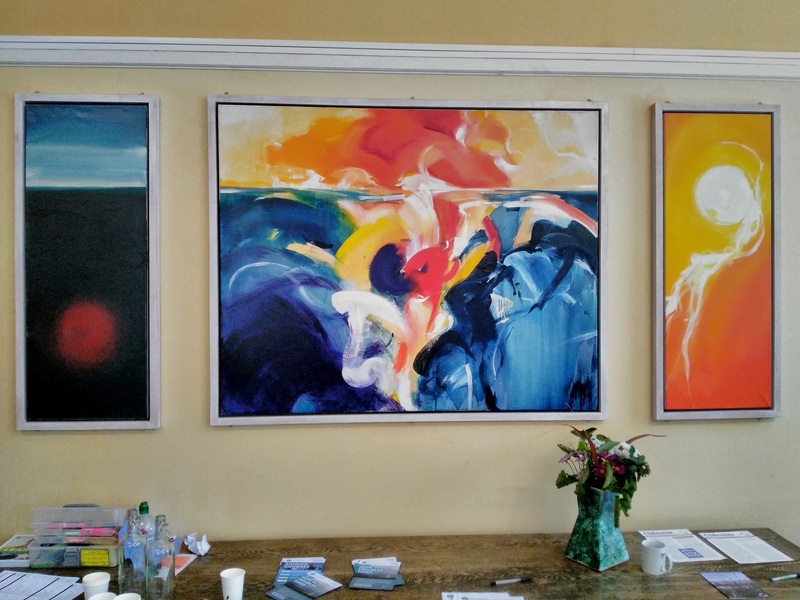 In the large meeting room a stunning triptych hangs – an abstract by Adam Boulter, Anglican priest, titled ‘Dawn of Creation’. Not knowing that title I might have guessed the general theme but also might have kept guessing: the canvas is alive and fluid with almost tangible forms to which any number of meanings could be attributed. On that visit, during a period of silent worship I became so engrossed in the piece that it seemed to pulse with life. On the left is a darkish column – the sea perhaps – in which the dim image of a red circle floats under a pale sky. In the central, main panel, streaks of red and gold swirl across the ‘sky’ and mingle with the ‘sea’, churning it into a boiling mass of colour. The right-hand panel contains another circle, this time of white and from which strands of light trail across the view against a background of yellow and orange. Not knowing the title my musings on this extraordinary imagery were free to roam. What I saw was a kind of restitution: from stillness to movement; from entrapment to liberty; from despair to joy. And in every such interpretation the central panel was essential – far from moving straight from one state to its opposite, the transformation, wrought by light itself, was the location in which the viewer is poised, just as throughout life every person is in a state of continual transformation. The question of what kind of transformation we aspire to is the one we ask ourselves in the silence of a Quaker meeting; and what we’re seeking in that same space is a transformation of ourselves and society wrought by light. Read more about ‘This Light that Pushes me’ here. A better image of Adam Boulter’s original painting as well as more of his work can be seen at www.adamboulter.co.uk. This entry was posted in landscape, quakers, reflections. It can be difficult to connect with situations outside of our immediate experience; more so to those in the past. But over the past six weeks, nine eloquent people have shared with four audiences their insights into one of the modern era’s most persistent yet poorly understood evils – that of slavery – and in doing so, have brought that connection within the grasp of everyone present. When slavery first comes to my mind it’s often in the form of mental images of grotesque, overtly cruel masters issuing beatings to people wearing chains. A caricature based half on truth, half conjecture. However, disturbing as those images are, what’s more disturbing is that the perpetrators of this most extreme form of human exploitation were, and are, no less respectable than you or I. For much of modern history, until a frighteningly few generations ago, slave-owning was quite normal and acceptable within polite society; and the fact that it isn’t generally acceptable today simply means that the slavery that occurs does so in secret, or wrapped in layer upon layer of convenient complicity. As I watched and listened to our contributors during our series ‘Abolishing Slavery – Then and Now’, it’s this question of complicity to which I kept returning. What was it that makes it possible for people within any available moral framework to agree that one person’s life should be circumscribed by another’s whims? That their origins, family and culture should be erased, to be replaced with the structures of control imposed by their ‘owner’? What in particular, enabled the Quaker movement to ignore this vicious crime for generations, even sanctioning participation in slave-owning until finally outlawing it within the Society in 1776? What, two centuries after the abolition of the slave trade in the British Empire, makes it possible for people to be trafficked, trapped and exploited within households and commonplace industries right under our noses in this country today? We have much to acknowledge in our history that has been forgotten, perhaps wilfully. As Professor Marcus Rediker narrated in the fourth of our events, Quakers both in the UK and the American colonies of the mid-eighteenth century fought with one of their own – Benjamin Lay – for decades, barring and disowning him as a revolutionary troublemaker because of his tireless campaigning against slave-owning. Alone in society and amongst Friends, he and his wife Mary were perhaps the first abolitionists. Without their efforts there would have been no Clarkson, no Wilberforce; perhaps no abolition at all. It was to Thomas Clarkson we turned in our second event, on 1st October, when Mike Casey and Arthur Pritchard, the duo known as Plain Quakers, dramatized his life and work in the abolition cause. Inspired by his research for his prize-winning Cambridge University essay on the slave-trade, he devoted his life to forensically uncovering the truth of the treatment of slaves, risking life and limb from hostile opposition in the process; and using his findings to galvanise public support for abolition. But abolition was not all down to members of the slave-owning societies. Sometimes slaves themselves were instrumental in winning their own freedom. Our series was kicked off in style by a performance of ‘Meet the Crafts’: the dramatic retelling of William and Ellen Craft’s escape from slavery in Georgia in 1848, which was made possible because Ellen’s mixed heritage meant her light skin enabled her to disguise herself as William’s master. Joe Williams and Leah Francis of Heritage Corner Leeds breathed life into these largely forgotten heroes of their time: ordinary people facing the most difficult of circumstances yet proving the great courage and dignity of the human spirit. That courage is no less needed today than at any time. 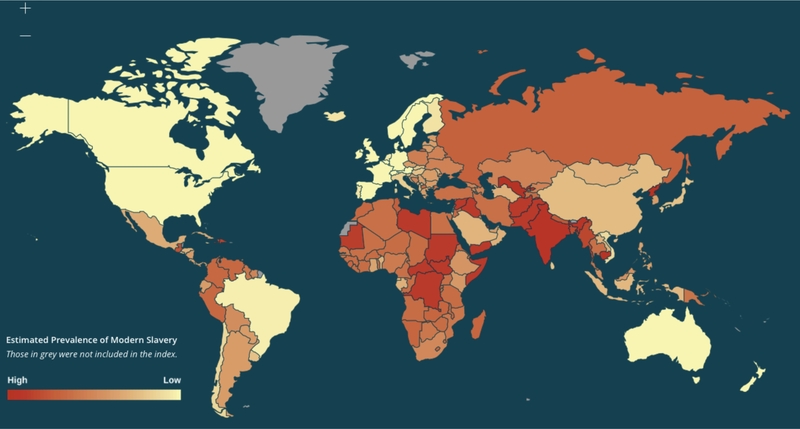 40 million people are bound in one or other form of modern slavery: from indentured labour to sexual exploitation; from forced marriage to organ harvesting. Here in the UK, exploitation of migrant labour by gangmasters operating in agriculture, the ‘beauty’ industry and car valeting. In 2016, nearly 4,000 potential victims were alerted to the UK’s National Referral Mechanism – an increase of 17% on the previous year. But because of slavery’s hidden nature, the actual numbers are likely to be far higher – estimates place the real figure around 13,000. On 15th October we heard one person’s harrowing story of domestic servitude and narrow escape. We heard from Andrew Clark how Anti-Slavery International are highlighting and tackling modern slavery in all its forms. Cristina Talens of the Wilberforce Institute explained the scenarios she encounters when trying to help businesses identify and monitor how their activities and supply chains rely upon modern slavery. Sheila Mosley of Quaker Asylum and Refugee Network drew the connection between the absence of safe and legal routes for asylum seekers to Europe and their vulnerability to enslavement during the trafficking process. To view or pick up information and resources about modern slavery, get in touch with the Friend in Residence to arrange a time to drop in. Our thanks to all our contributors during the series. 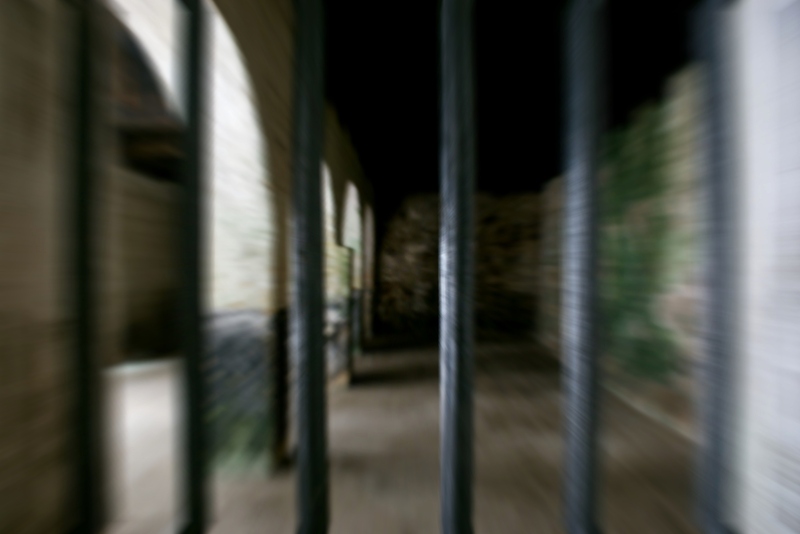 This entry was posted in events, modern slavery, quakers. 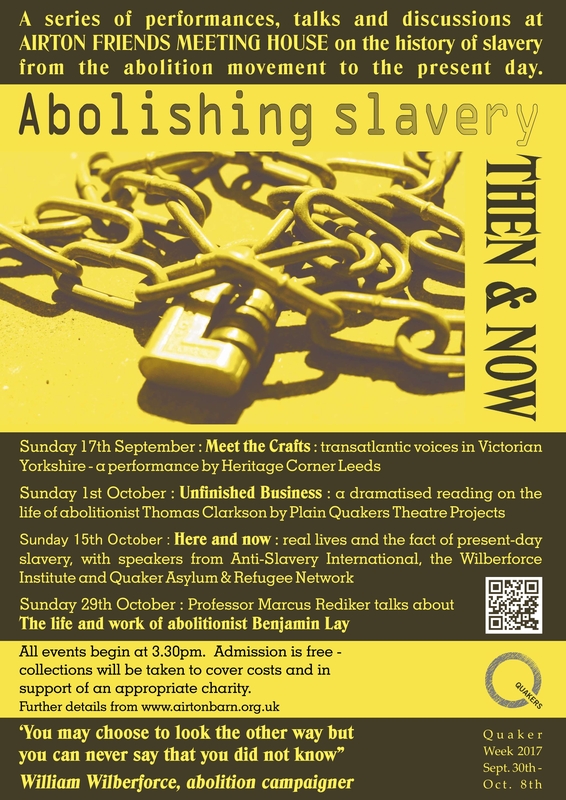 On four Sunday afternoons from mid-September to late October this year, Airton Friends will be hosting a series of moving and informative events exploring the lives both of people experiencing slavery and those who worked towards it abolition, sometimes in spectacular fashion. However, whilst abolition may have been a great historic achievement, it’s work is far from finished, as we will hear from speakers later in the series. 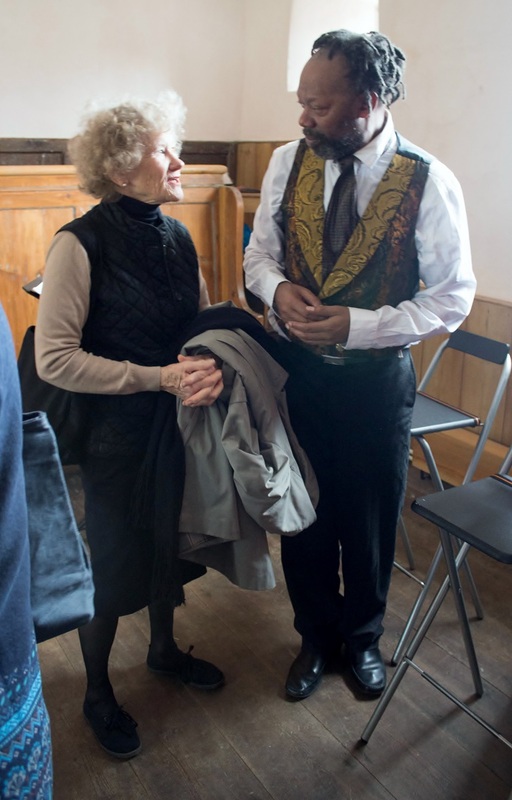 The events begin on September 17th with a performance by Leeds Heritage Corner (http://heritagecornerleeds.wixsite.com/heritage-corner) of Meet the Crafts – a two handed play based on the biographical work Running a Thousand Miles to Freedom by escaped slave William Craft, published in 1860 by William Tweedie of London. This harrowing story charts the flight of William and Ellen from slavery in the southern US, passage across the Atlantic and their reception in this country. 150 years after publication, the written narrative, available online at http://docsouth.unc.edu/neh/craft/craft.html, is as gripping as any contemporary adventure, all the more intense through its being the real story of a man and woman struggling for freedom. Meet the Crafts brings this story back to life as well as giving voice to other transatlantic voices of the time. On October 1st, we explore the life of Thomas Clarkson (1760-1846) in a dramatised reading by Arthur Pritchard and Mike Casey of Plain Quakers Theatre Projects (PQTP). In Nine Parts a Quaker – Unfinished Business, the duo ask ‘If slavery was abolished in the nineteenth century, why are more than 20 million people enslaved today?’ The title refers to the fact that Clarkson was a sympathiser to Quaker values but was not himself a Quaker – an apt reminder that movements for change are most effective as coalitions rather than as single interest groups. Follow PQTP on twitter @PlainQuakers. The third event is part answer to the question posed by Nine Parts a Quaker. Returning to the present day, in Here and Now, we will hear short talks and engage in discussion about contemporary slavery with contributions from someone who has experienced the sharp end of trafficking and domestic servitude; a former chair of Anti-Slavery International Andrew Clark; Cristina Talens of the Wilberforce Institute for the study of Slavery and Emancipation (University of Hull); and Sheila Mosley of Quaker Asylum and Refugee Network. Between them, these four speakers will shed light on the continued persistence of slavery both internationally and within the UK. Abolitionists faced the challenges of their time with courage and determination; facing present reality is the beginning of change – so if you can only make one event in this series, this is the one to attend. In the final event of the series, on October 29th, we travel back three centuries to explore the life and times of abolitionist Benjamin Lay (1682-1759). Despite his small stature, he worked as a sailor, travelling to Barbados, where he was appalled by slavery. Arriving in Philadelphia – where many of his fellow Quakers owned slaves – he provoked and annoyed them with incessant and sometimes extravagant campaigning, eventually being disowned by the Quaker meeting. Yet his protests inspired subsequent Quaker abolitionists Anthony Benezet and John Woolman, helping to turn the movement wholesale against slavery. 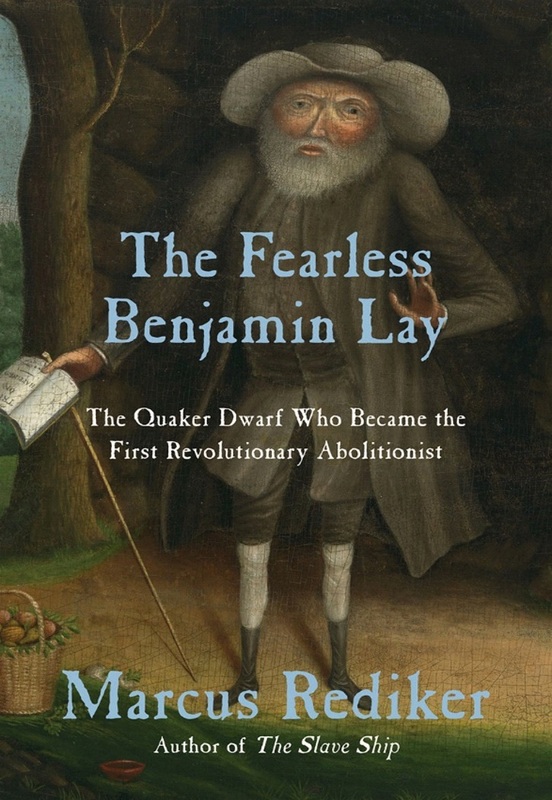 This story will be unfolded for us by historian Marcus Rediker of the University of Pittsburgh, with an illustrated talk based on his book The Fearless Benjamin Lay: The Quaker Dwarf who Became the First Revolutionary Abolitionist (Beacon Press/Verso, 2017). We warmly invite you to join us at any or all of these events. Each begins at 3.30pm. Entrance will be free and a collection will be taken to cover costs, with the surplus donated to a relevant charity by Airton Friends Meeting. Keep updated over the next few weeks by visiting this site, including our news page. Simon Watkins and Laurel Phillipson, 17th July 2017. This entry was posted in history, meeting house, quakers, venue.